We will retain lost and found for one month following your stay at Circle Square Ranch. If not claimed by then, we will donate appropriate items to a local charity. Medication will be disposed of within two weeks following the guests week of attendance. Calls to the camp regarding lost and found will be welcomed and any found items will be sent C.O.D. (at your expense). 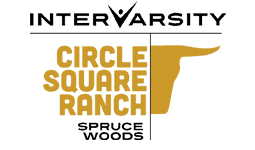 Circle Square Ranch is owned and operated by InterVarsity. InterVarsity has been operating summer camps and year-round outdoor educational programs for more than 80 years. We operate nine summer camps across Canada under the names of Pioneer Camp and Circle Square Ranch. 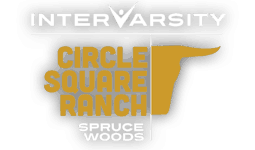 Circle Square Ranch is a smoke-free facility. Smoking is prohibited. The camp directors have more than 15 years of experience in youth, student and camp ministries. Health and Safety are emphasized at all times at Circle Square Ranch. We strive to provide safe and enjoyable activities. We have a qualified medical person on staff, available 24 hours a day and emergency service nearby. Circle Square Ranchleadership staff are trained in First Aid and CPR. Our Kitchen Supervisors have Food Safety Handlers certificates. Drinking water is lab analyzed regularly for quality. Our facilities are inspected on a regular basis and are up to code. Our staff are all trained in emergency procedures and safety protocols should they need to be implemented. Anyone participating in any horseback activity at Circle Square Ranch must wear a helmet. Appropriate helmets are provided by Circle Square Ranch or feel free to bring your own SEI/ASTM approved helmet with you.  What is food like at Circle Square Ranch?